A year after my first post on bootstrapping a startup, I’m writing another one about the challenges and lessons we’ve learned while growing our SaaS company. As well as how to go from your first customer to your first 1,000 customers. The reason I decided to write a second part is not just because I have a lot more to say but the feedback our team received was incredible! 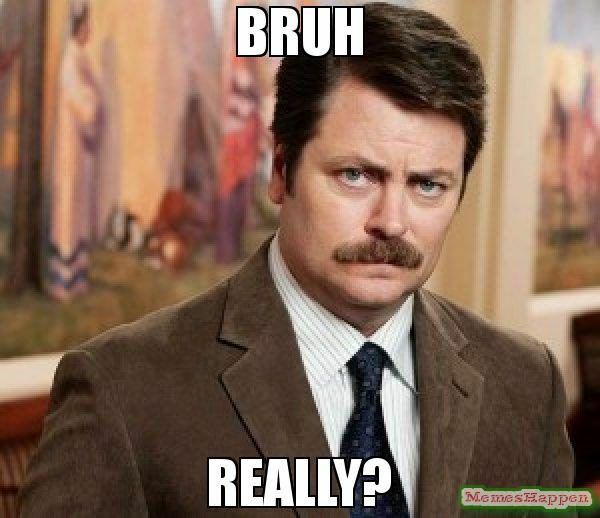 You guys really loved that post, you left a bunch of comments, and shared your own stories. Many of them were the same everyday challenges we are facing and it encouraged me to start writing again so you can see what has worked for us. In case you missed the first part you can take a look here: 16 lessons learned bootstrapping Kinsta from $0 to 7-figures revenue. Deep down I was hoping that the post would be popular and generate some buzz, but the results surpassed my expectations! Tens of thousands of visits, 315 upvotes, and 105 comments later I was convinced that transparent posts on growing a company are the type of content that you as founders are interested in and something we all can learn from. So here we are again! 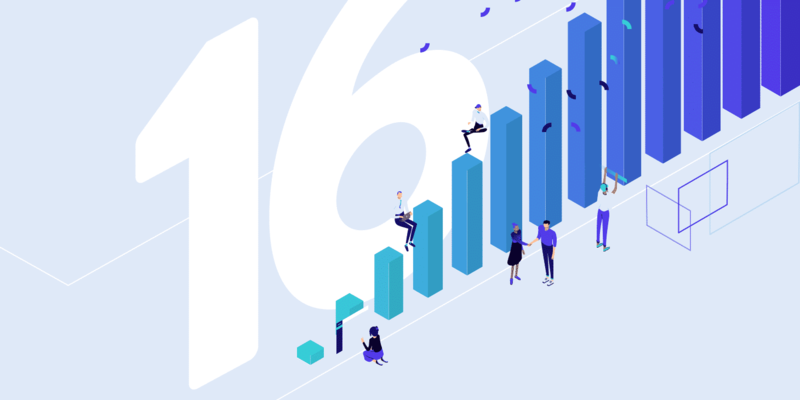 In the first post, I covered 16 important lessons which helped us to not only grow the business and increase ARR (Annual Recurring Revenue), but also how we did it without any outside investments. We got traction in an industry which is dominated by billion dollar companies. When we decided to give Kinsta a try back in 2013 we couldn’t imagine that we would ever have 1,000 paying customers. It’s now early 2019 and we’ve already way surpassed this first, but very important milestone. I wanted to stick to this number and add it to the title of the post, as it’s kind of a magical number, isn’t it? It feels good to say “Hey, I have one thousand customers!” And if you can achieve 1,000 you get to 10,000, 50,000 and so on. There is nothing more fulfilling as a company than starting from the very beginning and watching your customer base continually grow over time. But once you reach this magical 1,000 customers you can’t just sit back and relax. In many ways, it’s just as challenging as the early days of the business. You just have to deal with different kinds of challenges like constantly hiring, managing your growing team, handling finances, and a more complicated product development cycle. Hopefully, the following lessons and insights can help you fast track growing your business to 1,000 customers and beyond. Some of the following ideas might sound like a cliche, but I’ll add context to each to help you better understand and validate my points. Let’s begin! What a cliche right? I know but still, can you imagine the number of startups failing every single day because they don’t solve a problem? 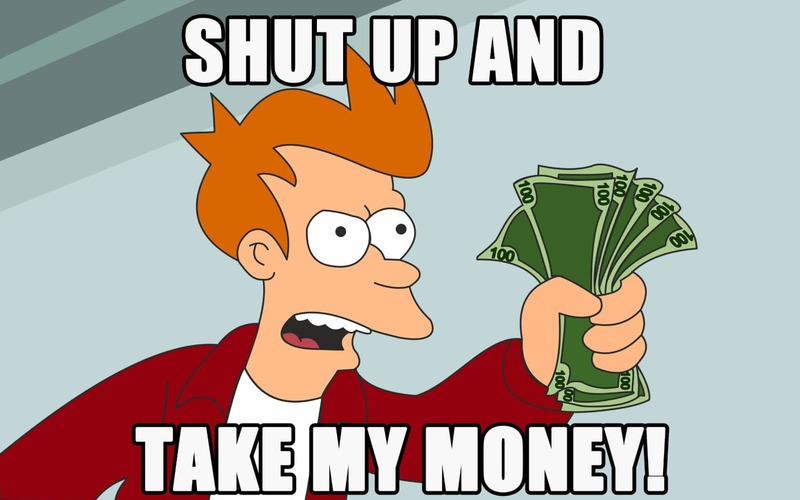 If they have a fancy and cool looking product or tool, it doesn’t mean the market will reward it or even needs it. And when I say reward I mean by becoming paying customers. Folks who open their wallets and enter their credit card details. How can you convince someone to pay for a service? Easy, find and solve their pain point. If you found a solution for any of those above now you have a business idea! If you solve two of them you’ve got an ace in the deck. All three? You might have hit the jackpot. I promised more context so here is an example. At Kinsta we provide managed WordPress hosting services. This is a premium solution with a lot of benefits. 1. We save our clients money. How? They don’t need to hire an expensive and skilled system administrator to manage their websites and servers. We take care of this for them. 2. We save our clients time. Lot’s of it! How? If they face any technical issues on their website they are just one click away from help. Within a minute, one of our support engineers will get in touch with them to take a look. They don’t need to Google the answer, go to Stack Overflow, or call a tech-savvy friend. We are available 24×7, 365 days a year. Everyone who’s ever programmed something that was too complicated for them can relate to the feeling of being lost, very very frustrated, and hours can be wasted by trying everything in your knowledge to make that something work. Customers also don’t have to update software versions, optimize servers for WordPress, make backups, block a DDoS attack, set up WordPress caching, or monitor the site for malware. We take care of all of this. The more sites they host with us the more time we save them. And this is something they are happy to pay for! 3. We help our clients make money. We work with a lot of web development, website maintenance (WP Buffs, SkyrocketWP), and design agencies. By outsourcing web hosting they can focus on their core business and are not distracted by these additional but necessary tasks like managing servers for their clients. We handle this part of their business and they can then take on new clients and projects. At the end of the month they are making more money. Not to mention if they take advantage of our affiliate program they can earn monthly recurring revenue! So as you can see, we solve problems. Web hosting is a boring industry (at least from the user’s perspective) but we solve the problems most website owners are facing every single day. That is why they are willing to subscribe on a monthly basis. This should be the goal of your business. To get people to pay for your service or product every month because it provides value. Monthly recurring revenue is the fundamental of all SaaS companies. MRR is one of my favorite words. Most businesses will remain in mediocrity. But being mediocre is not enough anymore, especially in 2019. You want to grow your business, increase your recurring revenue, and get a piece of the pie, right? You already solve a problem with your product (or you should) and are hungry for new customers. Those potential customers are out there you just have to find and convince them. How do you convince them if you are just another company doing the same thing as the competition? No one is interested in another small business CRM, photo editing software, or social sharing tool unless it provides something new or unique. You have to be different and you have to make it clear that you are not just another Basecamp clone. Tell and show them how you stand out from the crowd and how your product can give them something they can’t get at their current provider. Charging $10 less than the competition is not a differentiating factor you should aim for. If a lower price is your best differentiator you should rethink your business. A race to the bottom is not a good tactic and rarely works. I will talk more about this later. We were the first and we created this billion dollar industry. That’s why you should work with us. We work with the biggest brands. Do people care about this? In some cases, yes, but you can only coast so long on this type of mentality. Don’t sell yourself with your past achievements. We got tens of millions of dollars in funding, so we are the best to work with! A bunch of money doesn’t equal good service. A lot of VC funded companies provide terrible service because they care only about growth and forget about serving the customers. Investors are really the ones making all the decisions behind the scenes. We have a team of 500 people while the others in the industry have only a small team! Never use this to convince leads. This makes you sound desperate and it has nothing to do with the quality of your service. Trust me, the vast majority of leads and customers don’t care about any of the things mentioned above. These aren’t the differentiators they’re looking for. What makes a real difference? Your innovations and unique features that only you have. Your knowledge and expertise which makes you a leader in the industry. The adoption of new trends and product improvements based on customer feedback. And of course, a combination of all of these. Another way to stand out is with your website copy. However, this isn’t always the easiest thing to do. In fact, in some cases, it can be one of the hardest depending on your skillset. It doesn’t just take time but it almost always requires customer research on your part. On your website, you have to use your customer’s language. You might find it strange or think you have to use complicated terms and expressions, but believe me, the language of your customers is what converts best. At Kinsta, we do not sell servers. We do not sell disk space in the cloud and we do not sell 99.9% uptime. So what do we do? We are selling an experience. Peace of mind that our team takes care of this complicated and boring thing called web hosting; even on Sundays or New Year’s Eve. To sell a piano, don’t tell them to buy one. Show them people enjoying a music parlor in their homes and make them want that. They will buy a piano of their own volition. That’s what Edward Bernays did in 1928 when he was inventing modern PR. Sell not a thing, but emotion. How are you different, why should I choose you over X, what makes your service better and how will it solve my existing problem? Because of that, we felt that it was the right time to put together some new landing pages! We have a custom page telling you the most important things you should know about us. You can take a look at it here: Why us – how Kinsta is different. And to make our leads’ life easier we create dedicated landing pages where we compare Kinsta to the competition. These are not 200 words, biased, or thin sales pages. If you take a look any of these you will get the idea. A lot of time and research went into each of them. They are based on facts and data. No more no less. A comparison page like that helps potential leads to answer many of their pre-sales questions and it allows us to show what makes us unique and better compared to our competitors. During the years we learned the importance of website copy and how it contributes to your overall success. If you aren’t comfortable writing copy don’t worry, there are a lot of amazing copywriter experts out there who can help you out with this. Every dollar you invest into it can easily have a 10x return! Should You Care About Competition? Competition is beneficial and necessary. It forces you to keep innovating, to think differently, and act smarter. Of course, we won’t be best friends but we respect and learn from each other. A healthy industry encourages healthy rivalry which results in a higher rate of innovation. You should also learn to separate feelings from business. Hating on your competition is nothing but wasted energy and does nothing to help you accomplish your business goals. Some say that you shouldn’t care about them at all, and focus only on your product, team, roadmap, and next feature. To not even acknowledge they exist. I agree to some extent, that if you’re doing your job you shouldn’t obsess over your competition. It’s of course very important that you focus on pushing out the latest and highly requested features, grow your team, and continue to close lead after lead. But you can’t live in a bubble. You will miss out on a lot of opportunities! Until recently we have been happy using XXXXX as our preferred hosting partner and believe them to provide the best WordPress hosting. Unfortunately, in May of this year XXXXX notified us that they were increasing the cost of our servers by 400%. We were very disappointed to be faced with this as we have been very happy with the XXXXX service, but unfortunately we were no longer fit for XXXXX’s business model. Faced with an unacceptable price hike and change in account management approach from XXXXX, we felt we had no option but to look for an alternative host to provide a viable solution for our clients. Don’t get me wrong, I absolutely support higher prices. But if you ask 400% more for the same service and you punish your loyal customers, guess what? They won’t stay loyal anymore. That is one of the biggest drawbacks of taking any outside investment. If you don’t own your own business one day you’ll probably notice you’re just following orders and you have to do what your investors are telling you. If it’s a 400% price increase which destroys your years of hard work building a reputation, what can you do? I guess you can toss it up to nothing but following orders. Hey XXXXX will be 4x my typical monthly hosting bill while providing less, as they removed basic features. I want to switch now, please help! We quickly realized this was not a joke and the influx of new customers began. Update and optimize your website copy. Start new ad campaigns on Twitter, Facebook, LinkedIn, and target these customers. Check social media (mainly Twitter) conversations and jump in if they’re asking for a solution. Here are a few Twitter marketing strategies to beef up your social game. You have to keep your eyes open and take advantage of all the opportunities. That’s the good part. But sometimes you just scratch your head when it comes to the competition. In November 2017, we launched our new brand and redesigned website. Months of hard work and research went into it. We hired a team of talented guys to manage and complete this project. The feedback we received from our customers and from random people on Twitter or on Dribbble was simply awesome. Eight months later, what you do you know… Cloudways (sorry guys, no link), another company in the industry basically copied our whole website verbatim. They even sent us a message and asked for our feedback regarding what we thought about it. I’m not even kidding. I know that our design is not 100% unique but copying someone else’s design in the same industry is not the best move. 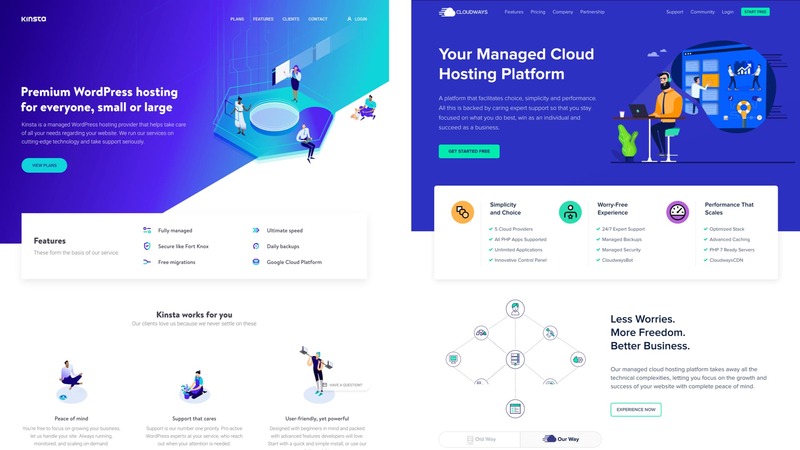 On the left is Kinsta (November 2017), on the right is Cloudways (June 2018). You can’t miss the similarity. But it’s fine, no problem. It’s better to lead, not follow. In another example, our main competitor created a comparison page where they theoretically reviewed our and their offerings. But they did the opposite. It turns out that they forgot to check their facts and ended up with a page that contains more misinformation and outright false statements than truth. Example: “Average days to go live on our platform is 24 days” which in reality would be a couple of minutes. I reached out to them but they never got back to me. I guess someone from the top gave the order to their marketing department to create this page and instead of comparing things that truly matter, they discredited us in all ways possible. I’m not surprised. Their entire marketing is based on gimmicks and their sales agents are incredibly creative when they have to answer the question of why someone should choose them over us. But people are not stupid and they can smell a lie from a mile away. Nevermind, these guys deserve a cookie. Am I angry or upset? Absolutely not. This is a good sign and actually, it’s impressive that they dedicate so much attention to us. While keeping your eyes open is important, it’s better to focus on your own company and customers. In the long run, this strategy pays off. Don’t watch your competition’s every move like a hawk. Keep your eyes on them, but don’t be obsessed with it. Developing and supporting a good product, along with hiring talented people requires money. Lots of it. As I mentioned earlier, charging less for your service is not the best long-term strategy. You should charge what you’re worth. You will then find yourself in the following position pretty quickly. Spoiler alert: almost everyone dies at the end. Some faster than others. You’ll wish you never started the war. A race to the bottom and going into a price war is a dumb idea. Unless you’re Amazon or Google, you should avoid that at all cost. Instead of lowering your price to beat the cheapest product on the market, find ways you can charge more for your service. 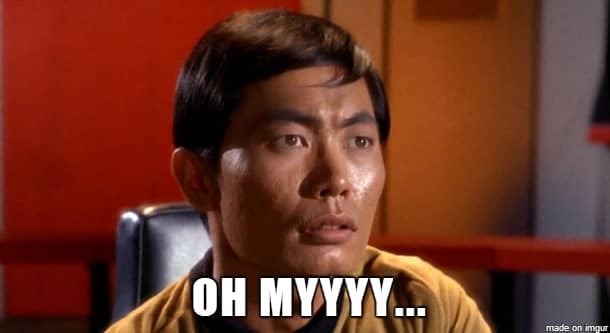 Don’t worry if some companies on the market are charging $9.95/mo but you want to do the same for $25/month (the amount you need to sustain the business). Believe me, a higher price is not a dealbreaker for serious customers. Actually, it can be a good sign, as they are tired of cheap offers where they get the bare minimum for their money. They will be happy to spend more if you can justify the value you provide with the higher price. The web hosting industry is famous for its $0.99 and $3.99 offerings. You get a small piece of a big shared server where your site is housed among 2,500+ other customers and you hope for the best. You always get what you pay for. It’s simply impossible to provide you with a good server environment, maintain the performance of the sites, and provide high-quality customer service if clients pay just a few dollars a month. What happens if you aren’t satisfied? They don’t care because they don’t have time to care about your case. You’re just a number. If you move away, they will simply replace you with another $3.99 customer and do this over and over again. Learn more about the truth of the web hosting industry. So what did we do at Kinsta? We chose not to become just another cheap hosting company providing low-quality services for a few dollars per month. There are already thousands of companies doing that. Instead, we went with a minimum price of $30/mo. It sounds expensive if you compare it to a $3.95 Hostgator plan right? At first glance, yes. But if you take a second look (and if you ever dealt with Hostgator or any EIG owned web host) you will quickly realize that it’s well worth the money. You get crazy fast load times. Professional support from WordPress experts just a click away. I wanted to give a shout out to @kinsta. Their support team is second to none! Thanks so much Thoriq, Jeff, Salvador, and James. You are all heroes! Features you need to manage and maintain your site. You can rest at ease, knowing your site is in good hands at all times. If your business relies on an online presence and your income depends on your website, you’ll be happy to pay this extra amount each month. And if you do the math, it’s really like two cups of Starbucks coffee. I know what I’m talking about. Thanks to all of the low-quality providers, customers are aware of our added value and we are growing faster than ever. Check out our 2018 year in review. It’s a lot easier to bring in 1,000 customers at $30 than 10,000 at $2.99. It’s better for your business and for your health. At Kinsta, we use a lot of SaaS products to grow our business. We wrote a blog post about it. However, it’s a bit outdated as the number of these services has now grown to more than 40. Many of these businesses provide excellent customer service. They reply to our questions within hours and they are always helpful. But some businesses aren’t great when it comes to customer service. For some, it takes 5-7 days to get back to you and usually, the answer is not very helpful. Just a few sentences and a link to their knowledge base which doesn’t answer the original question. These types of interactions create a bad impression, especially considering how much we pay them on a monthly basis (hundreds or thousands of dollars). Before we started Kinsta we worked with a lot of other web hosts. Every time we had to deal with customer support the experience was simply terrible. They were slow, agents lacked the proper technical knowledge, and we couldn’t find any sign of them being proactive. The sad thing is that this mentality is especially true for the web hosting industry. We decided not to jump on the bandwagon and made customer support our top priority. And it paid off, because thanks to this strategy, our customers spread the word about us everywhere. We provide them with something they’ve never experienced before in the web hosting industry. I could keep going on forever, as they are never-ending. You can read more reviews about our customer support here, here, or basically anywhere on the internet. First of all, excellent customer support is not cheap. Remember what I suggested just a few lines above. Yep, raise your prices. Everything is connected. If you want to have a team made up of real experts, you need the money to pay higher salaries. When you have a product that requires technical knowledge and expertise (such as ours), you can’t just go asking your Mom or girlfriend to help you solve support tickets. At Kinsta, we always have a few open support engineer positions. We are always looking for new talent and the next team member who can deliver unparalleled customer service. Whenever we are about to hire a new team member, we always craft a very detailed job description, post it to several portals, online groups, and forums. We then wait to receive 50, 100, or even more applications. Make sure you have a big pool of candidates because that’s how you’ll find your next dream employee. After that, we start narrowing down the list to the top five or 10 candidates. We have multiple rounds of job interviews, usually two or three. Thanks to this we are able to narrow down our list to the top three candidates and make the final decision. One year later we are still following this method and we have more talented people on board than ever. All of them are skilled WordPress users and developers and thanks to this we don’t have Level 1 or Level 2 support like our competitors. There is no forwarding your case to the next level. Every Kinsta client gets to chat with the same team members that support our large enterprise and Fortune 500 companies. Many founders think that customer support is not the most important part of the business and average performance should be enough. I think they are making a huge mistake. People pay for your products or services with their hard earned money. They want to trust your business and expect excellent customer service in return. It’s much easier and significantly cheaper to keep clients than it is to acquire new ones. There is another way to also help customers. Creating an extensive knowledge base can significantly reduce the number of support requests, as users will be able to find answers and solutions on their own. Educating your customers is important. At the time of writing this, the Kinsta knowledge base contains 234 tutorials and we add new ones on a weekly basis. Customer support is most likely the area where your competitors don’t perform as well and or pay enough attention. This provides an excellent opportunity where you can beat them. Or as we discussed earlier, it can be a very important differentiator. Our infrastructure is powered by Google Cloud Platform. The platform is scalable and we have the fastest load times in the industry. We also provide a lot of tools for developers. But I can tell you that customer support is the most important part of Kinsta, and this drives more business each month then everything else combined. You might find this ironic that after I just told you to make customer support the core of your business, now I’m suggesting you fire your clients. And yes, I just said that. But here’s what I mean. Without any bias, I can tell you that we are one of the most customer-focused companies on the market. We have seen this first-hand from the feedback we receive from customers and their developers. We also get a lot of feedback from returning customers who decided to switch to a cheaper alternative but come back a few weeks or months later as they realize that saving a few dollars actually cost them more. Solve the problem if it’s on our end. Make a recommendation or suggest a solution. Websites can become complex and server setups can also experience a lot of issues. If something has to be fixed on our end we’ll do it. But in many cases, that particular issue is out of our control and is something the customer will need to sort out. For this, we wrote a scope of support document which tells clients to whom the responsibility belongs. Clients often have to hire a developer as we don’t write or edit their code. We suggest to them a few skilled guys we work with and trust and clients are happy that they don’t have to find someone they’ve never worked with. If you’ve worked with clients before, you know that a few have a hard time accepting that something is beyond the scope of what we can help with. Unfortunately, these types of situations put pressure on your team and that’s not good. However, we do our best to stick to our published scope of support; deviating from it sets a bad precedent and just causes more headaches in the future. If you’re dealing with clients, I highly recommend creating a document that outlines the scope of your services and then make sure that your team follows those guidelines. If you don’t, a small percentage of clients will spot this weakness and it only takes that small percentage to turn customer support into an unsustainable part of your business. Over the years we’ve had a few interesting cases where a customers’ wishes simply could not be brought into alignment with what we are able to offer and support. In these cases, the best thing to do is to fire the customer as kindly, diplomatically, and quickly as possible. What do you do? You let them know that it would be best to find another provider and stop using your service as you can’t fulfill their requirements. You can remain polite, professional, and wish them good luck on their future projects. Over the years we’ve had to fire several customers. But the good news is that they represent ~0.1% of our customer base. And you know what? This works. You can and you have to fire bad clients to be able to support the other 99.9%. This is an important thing you can and must do to grow your business and keep your team happy. Don’t be afraid to say no. You don’t need “toxic” dollars. There is no such world in which you can please everyone. 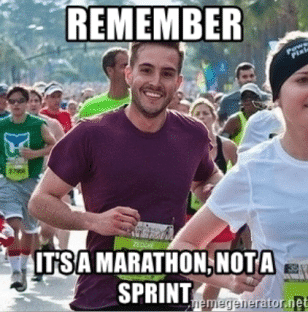 Running a business is not a sprint, it’s a marathon. The first one doesn’t often win the race. Of course, now you are asking me what do I mean when I say win? You can still be successful and feel like a winner if your business survived the first 10 years. It’s also a win if you serve a lot of customers and your annual recurring revenue is 7 or 8 figures. There were at least seven search engines before Google even existed. Do you remember AltaVista or Dogpile? Not really. But despite not being first, Google is still here, dominating huge parts of the internet and they are valued at over $739 billion. Was Facebook the first social media site? Of course not. Friendster was launched in 2002 and MySpace already existed in 2003. Do they still exist? Nope. All of them could have been “Facebook” but for various reasons, they failed while Facebook is still alive. In 2017 they had a 40.7 billion in revenue. So as you can see, being first on the market doesn’t guarantee success, and not being first doesn’t mean you can’t succeed. Everything depends on your attitude, your team, and your willingness to achieve your desired goal. Many of the first companies in the web hosting industry are still around. Some became giants, while others are also successful and have a large (not sure if growing) user base. Many of them show the signs of being a dinosaur company. These companies fail to innovate, fail to keep up with the new trends, and they fail to serve their customers as they should or used to be. I’m not saying they aren’t improving or innovating at all. They just aren’t doing it fast enough, and others, usually smaller players are way ahead of them despite having fewer resources. Of course, I’m aware that making changes at big corporations takes way more time. But this is more about the willingness for innovation and constant improvement of the business. 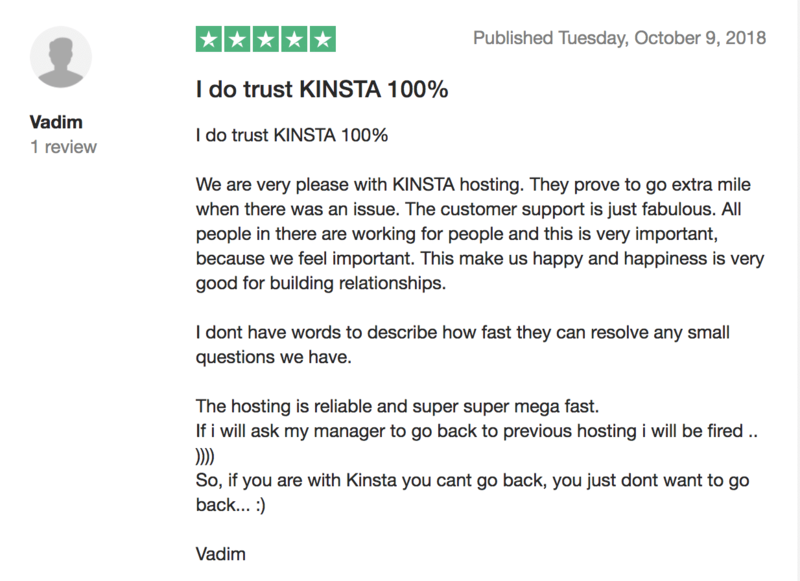 Kinsta wasn’t the first managed WordPress host on the market. Around 2014, a few other companies also launched a managed hosting service and many of these are now struggling or aren’t even around anymore. Thanks to our talented team, we have caught up really fast and I can say that we are going head to head with the big players in the industry. Change their attitude and get back on track. But why would they do this now, they’ve had years to do it. Get acquired by someone and then no one will remember they existed. Slowly go out of business. This is what will most likely happen. What I wanted to say is that you shouldn’t be afraid if the market is saturated and you think your business won’t be able to get traction amongst all the noise. With a clear strategy and consistency, you can go fish for sharks! Running a SaaS company or any kind of business is about data. You need proper data about your revenue, spending, growth rate, churn rate, and so on. You are making business decisions every single day and many of these should be based on data. Decisions like hiring new team members, spending more on marketing, or giving a raise are all things that shouldn’t be done without some research. The most important business metrics that all founders probably are aware of are the MRR, ARR, number of paying customers, and active users. Thankfully we can use free or premium tools to easily track these metrics and take a look at these charts whenever we want. My personal opinion though is that sometimes we can get too obsessed by these numbers and could feel bad without a good reason. However, the reverse could also be true. They can mislead you into a false sense of security. Investors, serial entrepreneurs, and SaaS business experts like to mention these growth metrics. Sometimes they call them healthy SaaS metrics or growth numbers that your business should produce. I know many of them are based on data and research or personal experience while they were investing in different companies or acquiring them. Your monthly revenue growth should be 10%. 20% of monthly revenue should be coming from annual signups. A weekly active users growth rate of 8%. Net promoter score 9 or higher. Should you feel bad that your MMR growth is only 5% or your revenue expansion is not that high but your churn is less than 2%? Should you feel bad that your monthly active user’s growth is only 10%? Or last year you were able to achieve 100% ARR growth while others are reporting 250% or higher growth? I don’t think so. Others might have taken VC money and spent way more to attract new customers while not caring about customer acquisition cost (CAC) or churn, but you were focusing on profitability instead of growth at all cost. Every single market and company is different and most of the time it’s not an apples to apples comparison. Take these “health business growth metrics” with a grain of salt and don’t feel bad if your growth is only linear. Becoming successful quickly and getting rich fast is the dream right? We all want to drive a Lambo and enjoy the four hour work week! Sorry guys I’m always realistic and have to disappoint you. I’m only 31. I’m not a business expert or any kind of guru but since age 12, I was always doing something to make some money. But whatever I did I’ve had to work hard to see results. In the last 5-7 years (especially during the years at Kinsta), I was able to connect with a lot of entrepreneurs and self-made businessman and you know what? I’ve never seen an overnight success. These guys are working hard every day of the year to take their business to the next level. Growth hacking has become a popular buzzword in the last few years and the pursuit of growth hacks is just crazy. Who could ignore a growth hack which would double SEO traffic? Or a growth hack to 3x MRR in the next 4 months? Or 10x the user base with a single tactic? It would be awesome. Everyone could be an overnight millionaire! Growth hacking is not a myth. It works great at Kinsta but we’d rather call it consistency. We’ve been publishing two or three 3000+ word posts a week in the last 2 years. We are promoting them all ways possible. We are pushing out new features all the time, looking for new partnerships, and reaching out to new affiliates, who can help us to spread the word. Building a business takes three, five, or even 10 years. There are smart techniques and small/quick wins which help to speed it up, but we are still talking about years. Never pay for an ebook, course, or consultant, where they will show you how to achieve this stage 5x faster. All they want is your money. The real growth hack is if you can hack yourself and not giving up after a few months or years. Consistency, strategy, and patience are the keys to success. Patience in the right activity(ies) is what delivers those “quick” wins. All right, folks, I think that’s it for now. While I could have added a few more things (I’ll leave them for another post), I think I touched on the most important topics I wanted to discuss. All of these above helped Kinsta to get off the ground and create a name for itself in the industry. We have a lot of ideas on how we will take the company to the next level in the upcoming years. If you want, I would be happy to share our journey, as well as ups and downs. 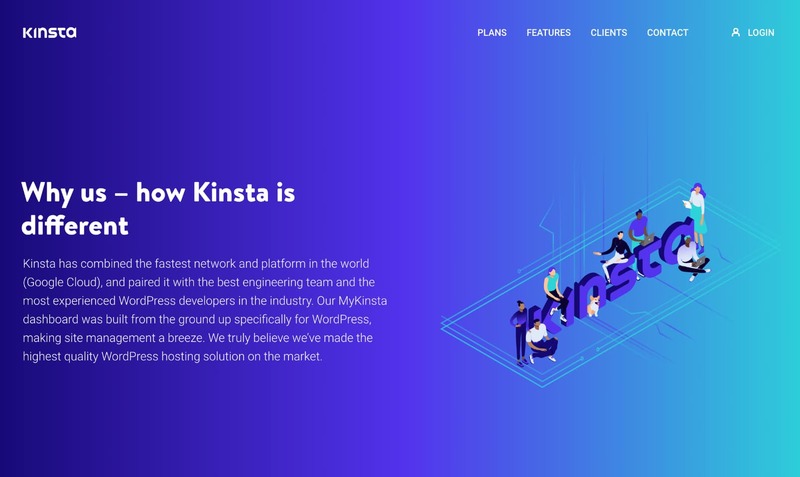 And some shameless self-promotion, if you have a WordPress site and you are looking for a new host please consider Kinsta. Don’t be afraid to give us a try as we have a 30-money-back guarantee with no long-term contracts. I’d love to hear your bootstrapping story, lessons learned, successes, and failures. Please use the comment section below! Also feel free to connect with me on Twitter @tomzur. The post Growing a SaaS Company – How We Reached the Magical First 1,000 Customers appeared first on Kinsta Managed WordPress Hosting.